Ghana recently ratified a military agreement with the US. The deal essentially turns the West African country into an American military garrison because it allows the Pentagon full transit and basing rights for its troops and contractors, protects them with immunity from local prosecution for any suspected crimes that they commit on Ghanaian soil, and exempts all equipment imports from taxes, thereby making it a much more robust version of the 2016 LEMOA pact with India that solidified the military-strategic partnership between those two states. This sweeping move also represents a complete reversal from the days of anti-imperialist hero Kwame Nkrumah, who led Ghana to independence in 1957 as the first post-colonial country in Africa. Instead of embracing the Non-Aligned Movement that the country itself helped found over half a century ago, Ghana’s contemporary leadership apparently believes that it should partner up with the US in the New Cold War irrespective of the geopolitical and domestic consequences. The US’ interest in Ghana stems from the country’s relative stability as an island of peace in a region largely beset by terrorist attacks and rebel insurgencies, with it being all the more attractive of a partner due to its dual mainland-maritime position in being a backdoor to the Sahel region via its northern neighbor Burkina Faso while simultaneously boasting a long shoreline along the Gulf of Guinea in near proximity to Africa’s largest economy and most populous state of Nigeria. 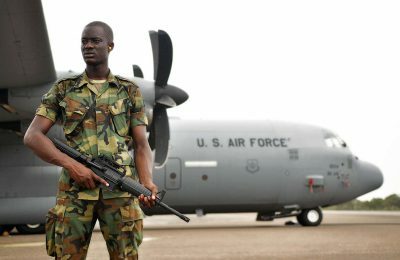 These two geostrategic factors combine to make Ghana the US’ future West African hub for regional military operations, whether they’re openly directed against Daesh and related groups in the northern scrubland or clandestinely focused on the destabilization of Nigeria if it behaves too independently and moves closer to China. Furthermore, Ghana is a convenient staging point for any missions in the smaller but mineral-rich and war-torn coastal countries to the west. What’s most troubling about all of this, however, is that Ghana and its people aren’t really slated to receive anything in return apart from the national military partaking in joint exercises with their American counterparts, something that they were already doing before this anyhow. Furthermore, the RAND Corporation published a report last month that basically proved the correlation between US military deployments abroad and the occurrence of Hybrid War in whichever region it is that American troops are sent to, suggesting that this latest move might actually destabilize West Africa more than the reverse and potentially even lead to unexpected asymmetrical blowback within Ghana’s own borders. Even if events don’t play out according to this dark scenario, then it’s still difficult to imagine what tangible benefits the Pentagon will bring to Ghana and its people, making it seem like their geography is being exploited in exchange for nothing at all.